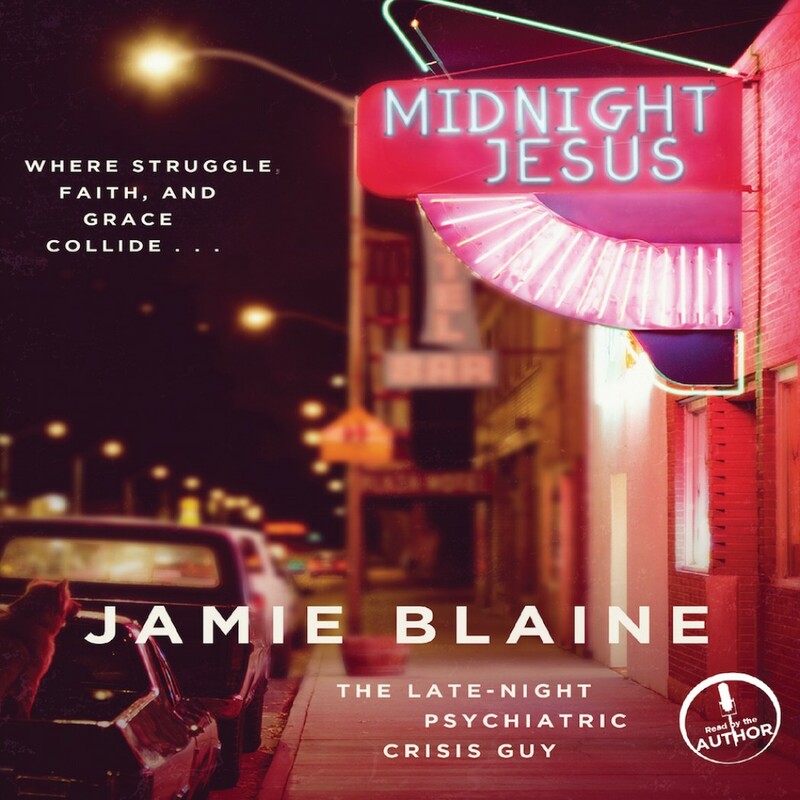 Midnight Jesus By Jamie Blaine Audiobook Download - Christian audiobooks. Try us free. It's three A.M. in the side yard of a shack in the worst part of town. I’ve got a dirty-faced baby on my hip and there’s a pit bull standing on the septic tank in the next yard over, barking his head off. My patient sits on the hood of her ex-husband’s lowrider, smoking a cigarette and dumping her pills into a mud hole by the right front tire. Airbrushed across the hood of the car is a cross-eyed Jesus with open arms. She lays her hand on top of his as the still-hot engine ticks. Through tears she pleads, “Help me, Jesus, please.” The dog is silent. Sirens approach. “Just breathe,” I tell her. Everything’s gonna be all right.” The baby fidgets, resting her head against me, staring up into my eyes. I raise one finger and she holds it tight. I fumble for the words again. “Just breathe.” Midnight Jesus shares fascinating, bizarre, and sometimes hilarious true-life stories of everyday people looking for hope in their darkest hours. Poignant and unpretentious, Jamie paints beauty where at times it seems none exists — from skating rinks and bars, late-night highways and lonely apartments, broken churches and run-down trailer parks, jail cells, bridge rails, ERs, psych wards, and that place over the levee where God laughs and walks through the cool dark night.